On the occasion of Vietnamese Doctors' Day ( February 27), we would like to review some outstanding events commemorating This Day. In October 2018, the World Health Organization announced that <?xml:namespace prefix = st1 ns = "urn:schemas-microsoft-com:office:smarttags" /><?xml:namespace prefix = u1 />Vietnam has successfully eliminated lymphatic filariasis as a public health problem. 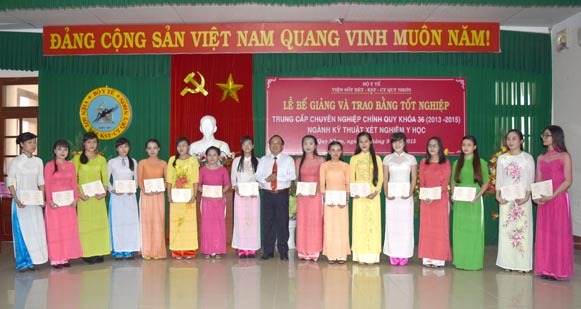 o­n January 17, the Government of Vietnam held a celebration in Hanoi to commemorate the elimination of lymphatic filariasis as a public health problem. 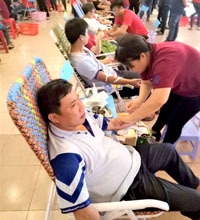 By tradition, at the beginning of every new year, the staff of IMPE-Quy Nhon often organises charity activities with the aim of evoking the good tradition of and sense of responsibility for protecting and helping the community. 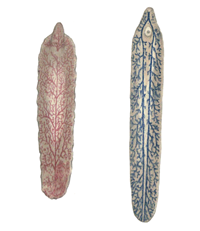 Backgrounds: Fascioliasis is a disease of the hepatobiliary system, caused by Fasciola spp that are increasing and threating of public health in the tropic areas (Africa and Asia), including of Central part of Vietnam. WHO estimates that at least 2.4 million people are infected in more than 70 countries worldwide, with several million at risk.No continent is free from fascioliasis, and it is likely that where animal cases are reported, human cases also exist. This study carried out to evaluate several particular clinical aspects in the vulnerable groups with fascioliasis. 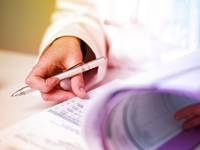 A programme o­n developing human resources serving the health sector in 2011-2016 proved effective, helping the Ministry of Health establish and fortify key foundations of the medical workforce system, heard a review conference in Hanoi o­n March 22. A systematic review o­n the global occurrence of Taenia hydatigena in pigs and cattle; Development and field evaluation of a new serological test for Taenia saginata cysticercosis; Mapping occurrence of Taenia solium taeniosis/cysticercosis and areas at risk of porcine cysticercosis in Central America and the Caribbean basin; Bovine cysticercosis--development of a real-time PCR to enhance classification of suspect cysts identified at meat inspection; etc. The potential elimination of Plasmodium vivax malaria by relapse treatment: insights from a transmission model and surveillance data from NW India; Challenges for achieving safe and effective radical cure of Plasmodium vivax: a round table discussion of the APMEN Vivax Working Group; An LC-MS based study of the metabolic profile of primaquine, an 8-aminoquinoline antiparasitic drug, with an in vitro primary human hepatocyte culture model; etc. 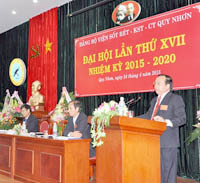 The Party Congress of the Institute of Malariology, Parasitology and Entomology Quy Nhon (IMPE-QN) was held o­n 24 April 2015 with the attendances of comrade Nguyen Ba Tra, Secretary of Party Committee of Provincial Agencies Block (PAC); comrade Le Binh Thanh, Deputy Secretary of Party Committee of PAC; comrade Nguyen Huu Loc, Chairman of Party Inspection Committee; comrade Nguyen Van Minh, Head of Propaganda and Instruction Committee, and the Executive Committee of the Institute Communist Party Committee and all Party members of IMPE-QN. Dracunculiasis (commonly known as guinea-worm disease) is a crippling parasitic disease caused by Dracunculus medinensis- a long, thread-like worm. It is transmitted exclusively when people drink stagnant water contaminated with parasite-infected water fleas.